Rivets, studs, pins, blind rivets, etc. Sunroad Rivnut offers a variety of rivets. Sunroad Rivnut Co., Ltd., located in Changhua County, central Taiwan, has been engaged in production of rivet nuts as a seasoned maker of this kind on the island. Well versed in cold forging and related processing methodologies, Sunroad turns out a variety of rivet nuts with high structural durability and resistance to salt spray. The company also guarantees excellent identity in quality and specifications, showing its cutting-edge production and quality control capabilities. The company's rivet nuts and related fasteners are available in steel, stainless steel, aluminum or brass, ranging in size from 3M to 12M. 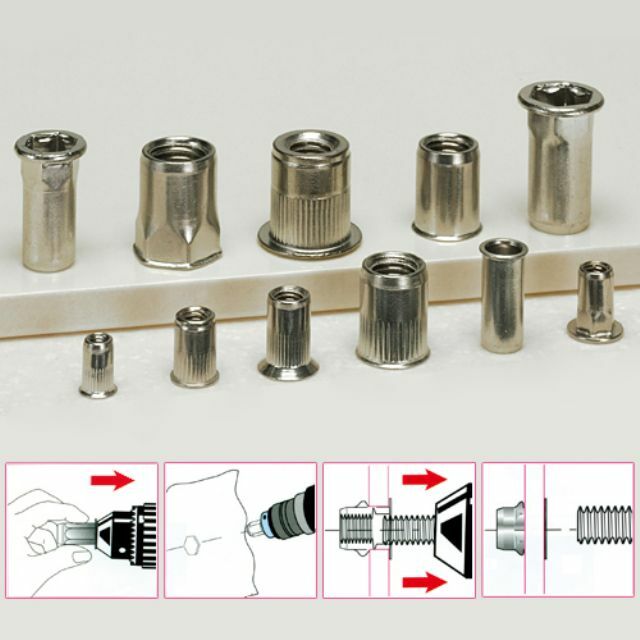 With proper hardness and anti-tilt structure, the company's rivet nuts can be easily and quickly installed to firmly fasten a pile of thin materials with nearly all kinds of suitable tools without welding.